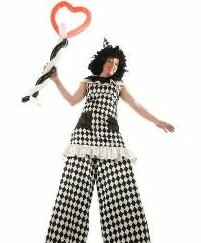 Upshot Performance is a circus arts company operating from Sheffield throughout the U.K. and Europe. 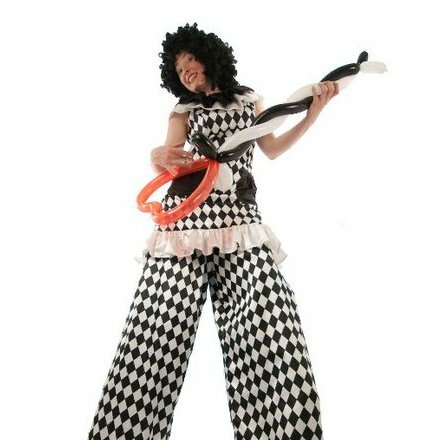 Upshot Performance can offer a wide variety of performers including: Stilt-walkers, jugglers, living statues, acrobats, and unicyclists. We specialise in corporate events, fun days, retail, promotional and company days. Their services also include team-building exercises and peer teaching for groups of up to 300 employees. Upshot Performance supply balloon modellers, face painters, walkabout acts, clowns and a variety of workshops in making masks, kites, puppets, lanterns, costume, and general arts. 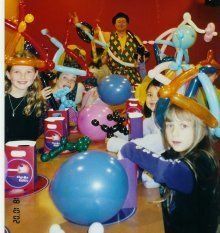 We can integrate circus and craft workshops for the same event. Upshot Performance will provide everything you need at the most budget friendly prices. Please contact us for further details or images. Upshot Performance are balloon modellers in Sheffield, perfect for wedding reception entertainment, birthday party entertainment, family party entertainment, private parties, party entertainment, christmas party entertainment, school fayre entertainment, school fete entertainment, international event entertainment, themed party entertainment, shopping centre entertainment, school fayre entertainment, school fete entertainment, wedding anniversary. Thanks for your tremendous efforts in making our Christmas celebrations such a success – beatiful costumes! Great feedback regarding the entertainers for the Allerton Hall’s Family Fun Day. The days were a huge success and they couldn’t fault the entertainers! Thanks! I know from feedback that he worked incredibly hard, and despite the weather was a complete professional in doing what he could!